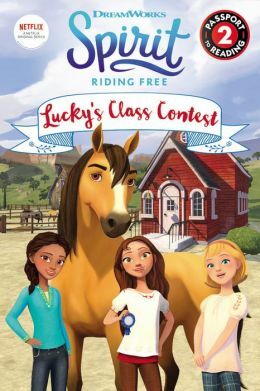 In this leveled reader based on DreamWorks Animation's Spirit Riding Free, the PALs are part of a school fundraiser! But when Lucky partners with Maricela for the fundraiser instead of Pru and Abigail, their competitive streaks come out and test their friendship. Featuring a winning combination of favorite licensed characters and carefully controlled text--reading along or reading alone just got more fun with Passport to Reading! All books include a parent letter, word count, Guided Reading level, and number of sight words.